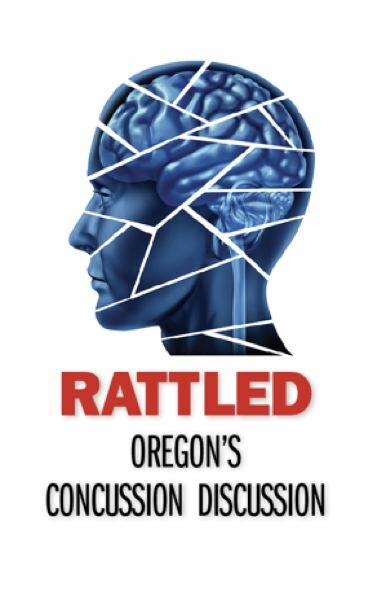 Concussion Discussion: Oregon lawyer David Kracke explains the background to Oregon's landmark concussion legislation. Last fall, when the Pamplin Media Group and InvestigateWest began preliminary reporting on high school concussions in Oregon, one name kept popping up: David Kracke. 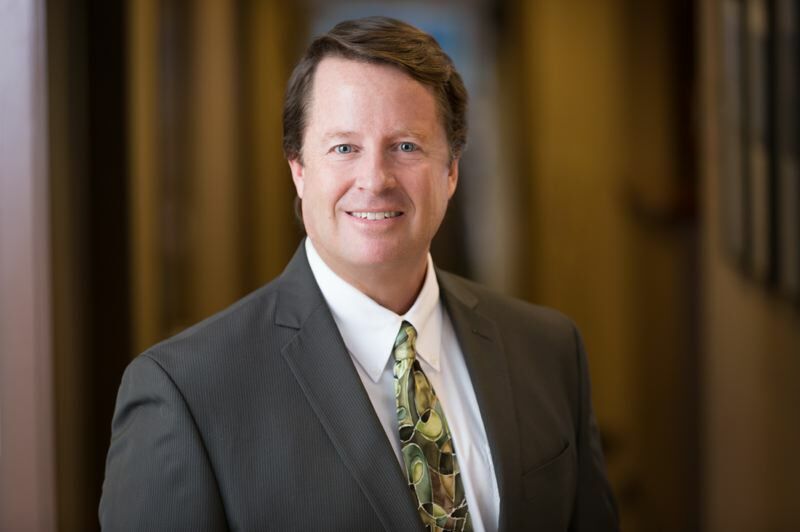 Kracke, a personal injury lawyer at the Nichols Law Group in Portland, was on the board of directors of the Brain Injury Alliance of Oregon when the group was contacted by Ralph Conradt, whose son, Max, suffered back-to-back concussions while playing football for Waldport High School. Kracke ended up playing a lead role in passing Max's Law, Oregon's landmark legislation aimed at reducing the impact of brain injuries among Oregon student athletes. In mid-October, Lee van der Voo, managing director of InvestigateWest and John Schrag, executive editor of the Pamplin Media Group, talked to Kracke about the history of the law, passed in 2009, and how it works today. A podcast of the conversation can be found at the collaborative project's website: RattledinOregon.org. Here are excerpts, edited for clarity, readability and brevity. Rattled: David can you give us some background about Max's Law? David Kracke: Sure. Max's Law governs a coach's responsibility when a player is concussed, or when a concussion is suspected. What we have done in Max's Law is essentially set out guidelines that a coach must follow in the event that he or she suspects a player has received a blow to the head or body and then exhibits signs or symptoms consistent with a concussion. Once that threshold is met, certain requirements kick in. Kracke: First, the coach must remove that player from the playing field, practice or game. That coach then must refer that player to a qualified health care professional and then not allow that player to return until a qualified health care professional has authorized him or her to do so. That in a nutshell is what the law is about. But that's not the backstory. That's not how we started the process. Rattled: Tell us the backstory. Kracke: Well sure. 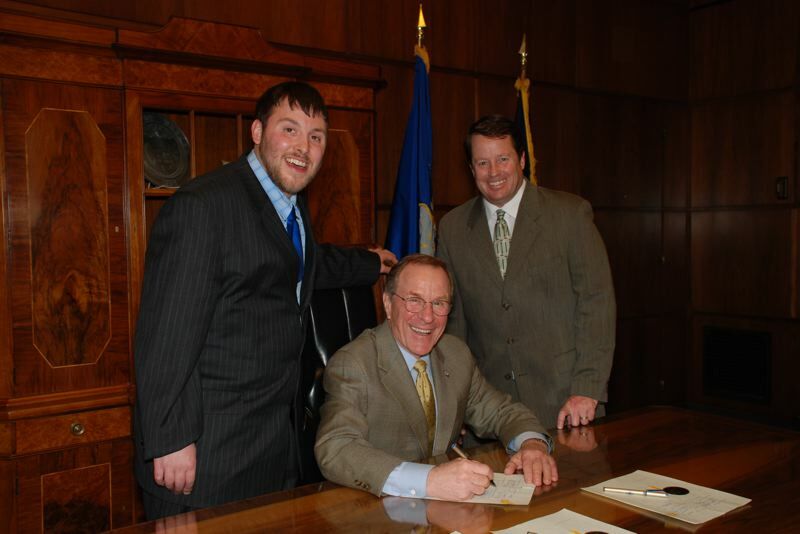 The law is named after Max Conradt and Max is one of the nicest, greatest men I've met. He suffers from a traumatic brain injury. But before that he had this incredibly promising future. He has maintained throughout this hardship a real sense of dignity, a sense of humor. He's a great guy to be around. Max's story began back [in 2001] at Waldport High School on the central Oregon Coast. He was the quarterback of the Walport High School varsity football team. He was a 4.0 student. He was on his way to Cornell [University]. His life was really just unfolding in front of him. He was concussed in a game. We've seen all the game films from this, and it was a pretty brutal [helmet-to-helmet] hit. Back in those days we didn't know what to do, and so he was allowed to play the next Friday night. Rattled: We now know that's a problem. But why? Kracke: What I tell people is that when a player is concussed it's as if their brain cells turn into icicles. They are very fragile. If that player is given the proper rest and recovery time, those icicles essentially melt. Everything's fine. If, on the other hand, those brain cells are concussed again and are disrupted with a second concussion, those icicles shatter and those brain cells are gone forever. We call that second impact syndrome, and that's essentially what happened to Max on that second Friday. Rattled: So how did Max's injury lead to Max's Law? Kracke: His story would probably have been over if it weren't for Max's dad, Ralph Conradt. The legislative process tends to require a catalyst, a spark. And in this case, Ralph Conradt was that spark. Ralph didn't let it go. He kept saying that something must be done. This can't happen to another kid. Well at this time there were no laws in the country whatsoever that dealt with a coach's responsibility or high school's responsibility with regard to a concussed player. And that's when Ralph basically found out about and came to the Brain Injury Association of Oregon, of which I was a board member and the only attorney board member. That was the initiation of the process that has now turned into Max's Law. Rattled: You've stressed that you didn't do this alone. Kracke: We had an incredibly great team all working in conjunction toward this common goal including (former) Sen. Bill Morrisette down in Salem, Dr. Jim Chestnutt at OHSU, Sherry Stock at the Brain Injury Association of Oregon. Dr. Mic Koester at the Oregon Student Activities Association (Sports Medicine Advisory Committee) and many other people down at the University of Oregon and throughout the state. In other words, it was just a phenomenal team all at the right place at the right time working on this process. Rattled: How did people respond when they heard from Ralph about Max's story? Kracke: It was not a difficult sell in terms of we need to do something to make sure that Max's situation doesn't occur again. But it was a difficult sell because it had never been done before. Back then we were just saying, "Wake up, people. This is a real problem." Between the time when Max was injured and 2009, when the first two laws in the country were enacted, was seven years of trying to figure out what's going on. And there was significant blowback by some very powerful individuals, most notably at the NFL. Kracke: In fact, 2009 is when the NFL came out with that infamous "football doesn't cause concussions" memo. They had this kind of pro-forma meeting where they basically dismissed it. If anyone saw the movie "Concussion," that outlined the struggles of Dr. [Bennet] Omalu Romelu, who was the pathologist who first discovered Chronic Traumatic Encephalopathy, this football head-trauma disease that's in the news everywhere. If you saw that movie or were following it like we were in those days, you saw a lot of denial, and it was terrible. Rattled: What happened after the enactment of Max's Law, when Oregon and Washington demonstrated an interest in protecting kids in this way? Kracke: Well what happened was, it swept the country like a wildfire. Within four years every state in the country had passed an analogous law. Rattled: What was the next step? Kracke: The next step for us was Jenna's Law, to make sure that all young players regardless of school affiliation in the state of Oregon were covered by the protections afforded by Max's Law. And that is known as Jenna's law, named after Jenna Sneve the courageous skier from Sisters. It was really important that we expand the concussion protocol protections to all young athletes in the state of Oregon. With Jenna's Law we required concussion education for parents, all players over the age of 12, referees, all coaches. Rattled: How many people are affected by that? Kracke: We've extrapolated and tried to do the numbers. What I say is somewhere between 150,000 to 200,000 Oregonians are getting concussion education every single year. When you think about this kind of momentum, the totality of that educational process after 5, 6, 7, 10 years of that, we are going to then have kids who started playing sports at age 12, played up through age 18, and had six years of concussion training. When those kids become parents they're going to be much more aware of what's going on. They are going to be educated. I think that's one of really, the kind of the hallmarks of what we did with Max's Law and Jenna's Law. Rattled: What's left to do? Kracke: I alluded to it [earlier] with my comment that 99.999 percent of kids are going to go pro in something else [other than sports]. What we are working on now is Return to Learn. Return to Learn means when a student is concussed, whether it's on a football field, skateboard injury, bike injury, car crash, a slip and fall, we want to make sure that kid is not left behind during that recovery period.